High in the swiss mountains the Liandri Organisation found a dipalidated complex of buildings. 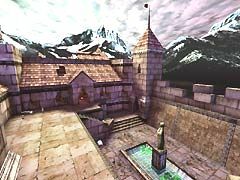 Once a monastery, this long since forgotten ruin is now a venue for the latest round of frantic deathmatch action. 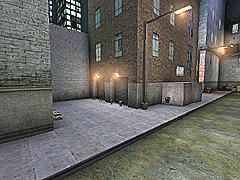 My intention with this map was to create an environment that seem reasonibly realistic and yet played well as a traditional Deathmatch (or Last Man Standing) map. 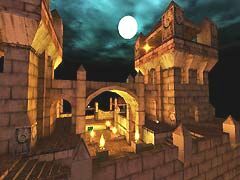 This map stays within 200 visible polygons except for one small area near the tower courtyard. It should run reasonible smoothly on machines with 450+ MHz processors.